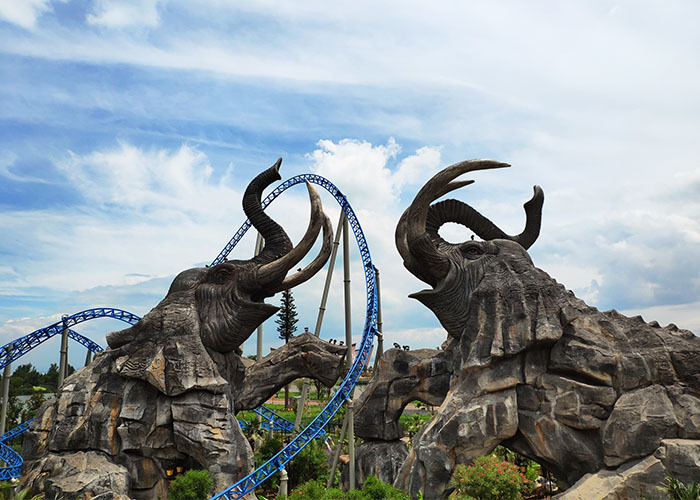 Colorful Yunnan Happy World, the first theme park in southwest China, opened to the public in Kunming, Yunnan province, after collaborating with AkzoNobel’s Dulux Pro brand to paint around 180,000 square meters of attractions and facilities in approximately 80 different colors. Revenue was 6% lower and flat in constant currencies. Price realization is gaining momentum and selling prices were up overall. Volumes were lower in all segments, mainly due to continued focus on pricing initiatives. Adjusted operating income was higher due to improved pricing and cost savings more than offsetting higher raw material costs, currency effects and lower volumes, resulting in ROS up at 12.1% (2017: 9.4%). Operating income was adversely impacted by €3 million identified items relating to the transformation of the organization. Revenue in Q3 was 3% lower, and flat in constant currencies. Price increases are taking effect, while volumes were lower. Adverse currency impacts were mainly driven by the Turkish lira. The acquisition of Xylazel in Spain and Doves Decorating Supplies in the UK were announced and completed in September 2018. The acquisition of Fabryo Corporation S.R.L., announced in June 2018, was completed on October 1, 2018. Revenue in Q3 was 9% lower (including positive impact of hyperinflation accounting), although up 8% in constant currencies, mainly driven by positive price/mix effects. Higher selling prices and cost control offset increased raw material costs. Adverse currency effects were driven by the Argentinian peso and Brazilian real. Revenue in Q3 was 9% lower and 7% lower in constant currencies. Selling prices increased as a result of continued focus on pricing initiatives. Volumes were lower in China, also due to focus on value over volume, while growth continued in India and Vietnam.